Make your plans in advance. To help you through a difficult time. 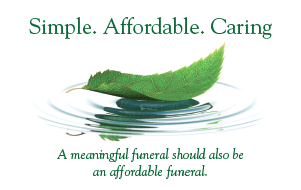 At Simple Tribute we’re here for you. Our dedicated staff members will provide you with caring, professional service. We will answer your questions and guide you through a difficult time. Please contact us for assistance.